Note: This release has two different tracklists, depending on whether you buy the vinyl or digital version. See below. 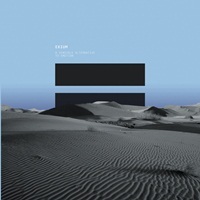 The Spanish techno duo Exium (Hector Sandoval and Valentin Corujo) are known for combining hard, booming big-room techno with mind-expanding dub textures. The pair consistently put out deep, trippy, yet functional and DJ-friendly techno tracks with meticulous attention to sound design. Their 2013 album A Sensible Alternative to Emotion (also on PoleGroup) developed this sound to a fine edge, bringing together ambient, floating dub tracks like “Dronid”, textural abstractions like “Parallel Computing”, and straight-up bangers such as “Absolute Magnitude”. Exium fans have had to wait a full year for PoleGroup to pull together a remix package, but the result has been worth the wait. For this release, the label has brought together a roster of seriously heavy hitters, including Los Angeles’ Silent Servant, the Argentinian Jonas Kopp, fellow PoleGroup artist Oscar Mulero, and the Dutch producer Tripeo (alter ego of Darko Esser). This record opens with Silent Servant’s take on “The 12th Planet”. The LA producer tightens up the original’s loose, wiggling rhythm into a tight, percussive mix. It’s an interesting take on the original at first, but it lacks narrative and development, leaving an unfinished feeling. Jonas Kopp’s version of “Nucleoid” is a heavy beast of a track, with thunderous, rumbling bass and ringing hi-hats. This is the epitome of dark-and-hard, in-your-face techno. The track is far from subtle, and it doesn’t stand out much from all the other unrestrained big-room blasters on the market. Oscar Mulero’s version of “Massless Particle” sticks close to the original, preserving the syrupy synth line and swirling noise, but the Spanish producer tightens up the rhythm and focuses on the kick and the interplay of 16th-note shakers and restrained, pitched percussion that sounds like a tabla. The “digital bonus edit” (available only on the digital version) washes out the kick in reverb and lets the synth line take prominence for a cavernous, spacey sound. Tripeo’s digital bonus version of “Dronid” is the choice cut on this release. The Dutch producer builds on a broken-beat foundation, layering cinematic pads beneath crunchy, textural percussion, and swirling noise for a subtle and emotional journey. The pads in this track do much of the work, swelling to a peak when necessary and then receding into the background. The track perfectly combines a tight, functional rhythm with deep and melodic textures to form a great late-night killer. This remix is true to the spirit of the Exium original while also providing a unique perspective on a great track.